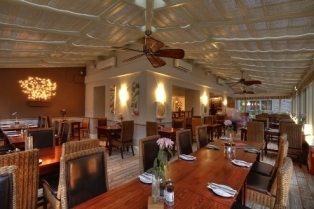 The Tree House offers traditional pub cuisine using local ingredients with a wood-burning pizza oven and chicken rotisserie together with home-made burgers, local fish and chips and a new gluten free menu. 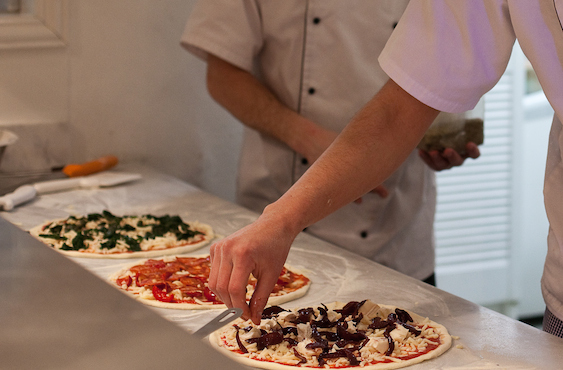 ‘Home-made’ is the philosophy of The Tree House with our pizza dough and tasty sauces produced fresh every morning. 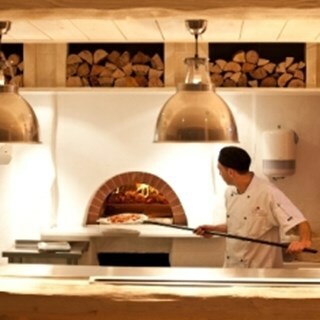 The pizzas from the traditional stove are scrumptious with a crispy base and heaps of toppings. The Tree House is the ideal family venue. 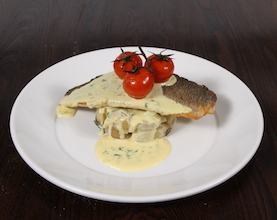 Tasty, healthy kids menus alongside the delicious array of adult choices, mums and dads can enjoy a relaxing dinner, safe in the knowledge that the kids are well entertained in the soft play area, The Monkey House. 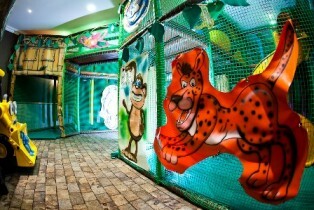 One of the Island's best indoor play areas within a restaurant and bar environment! If you're without little ones, The Tree House is ideal for a chilled out meal and drink or two, with a stunning woodland al fresco area and cosy interior, suitable for all. 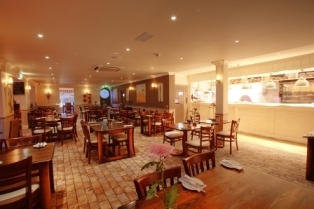 The food was great but unfortunately the whole experience was ruined by the poor service. It took 40 minutes or so to be served, when we did the waiter asked if we wanted pints of Pepsi, we said yes and small glasses came, when we said we ordered pints he said it wasn’t possible!! We ordered water for the whole table which never came, we asked for mayo that never came. There were no waiters around so we had to go to the bar to ask for gravy for the roasts and to order drinks. We had booked a table in advance for 5 plus an infant and we were put on a table for 4 people. We had to get an extra chair and squeeze on the end. It’s fair to say we all agreed the waiting staff were clearly not busy (they were definitely not in any rush) but just generally useless. I hope this feedback will help you to improve because the food and venue are good! Shame! Service was really good but the food wasn't great. Salads were small and the chicken piri piri was frankly pretty terrible. Burgers were ok but totally overpriced when you have to pay extra for chips /sides. We had excellent service, very pleasant and helpful waiter but we wouldn't be coming back for the food I'm sorry to say. The service was very slow and only three staff carrying out the whole of the restaurant. This leading to confusion of orders placed and items being wrong, or not at all. Very disappointed that you not only have no vegan menu anymore, but no vegan items on the menu. Even the chips contain milk! I can't eat dairy, eggs or soy so I chose the crab linguine as the allergen info suggested this would be fine, but it came covered in parmesan. I had discussed my allergies with the waitress prior to ordering. It was sent back. As an apology I was offered a free desert, but there were none I could eat. Very overpriced food and disappointing. The dish I finally received was very nice though. Very poor service. Looked at Tripadvisor and spoke to staff at the hotel at which we're staying after our visit and that seems to be a recurring theme. You need to do something about that soon! A very disappointing visit this time. We waited nearly 2 hours for our main meal. Whilst waiting we were asked three times by different waiting staff if we’d like to order dessert which was quite weird and seemed to evidence that nobody was aware we hadn’t had our mains. Even worse was the fact that the restaurant wasn’t even busy. A little communication would have prevented this from being such a disappointment. Even when we stated we hadn’t had mains when asked about dessert we were advised they’d check what was happening the next person we saw came to also ask us for dessert order. We won’t be back in a hurry. It was my 6yr old sons birthday meal. Arrived at 6.30, ate at 9pm...not acceptable. Normally service is quite good here. Visited friday 17th August, service was non existent, food took over an hour to arrive and was not eaten due to it being cold and of poor quality. Manager ? took my comments on board and didn't charge us for any food. However we wasted over an hour and a half at the restaurant when we could have been elsewhere enjoying ourselves. Food was very good when it arrived, although children's portions were very small. Main issue however was service- absolutely terrible. We were promptly shown to a table and reasonably quick for drinks order to be taken. Then waited a further 15minutes for food order to be taken. Children's meals were brought along with our starter, but our main courses didn't arrive until well over an hour from the point of ordering. This could have been overlooked if the restaurant had been busy- there were 4 other tables in use. Staff busier having chats amongst themselves, dandering around as if they had nothing to do. Very very poor service. Second main issue was with the children's play area- outdoor equipment is clearly never safety checked and in fact we witnessed another child coming close to very serious injury. Actual holes in climbing platform. Also frame labelled as '0-5 years' is by no means suitable or safe for the younger end of this age group. We have visited this restaurant for many years, and although it has such a nice setting, the service is beyond the pail and we will not be returning. Someone needs to get in and give the staff some training. The experience was OK , but could be so much better. Food was awful- pizzas greasy. Husbands beer not good either.We left ascquick ascwe could. All in all a great night with lovely food and very attentive waiters/waitresses. Love the new menu. We all had a lovely meal was delicious. The food was good when it finally arrived but the overall service was terrible. Our main course was delivered before our starters had even arrived. We had to cancel our starters as the food was going to go back to the kitchen to stay hot while we had the starters. Waitress staff struggled to understand English and could not understand that we had not received our food. Main course food was lovely and well cooked, it’s just a shame that the service was so poor. My daughters meal came out without any sides and we had to wait again for these to be cooked. Overall not a great evening! 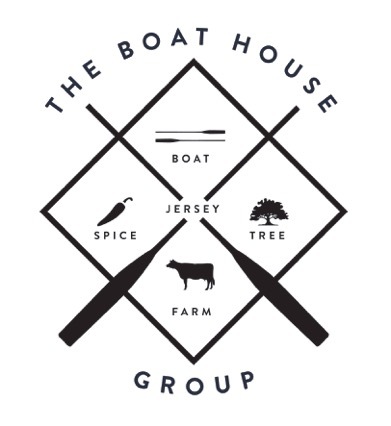 Excellent lunch, definitely best roast I have had in a Jersey! Kids also had a great time in the play area. Great meal,  A very good dining experience. It took 1hr 20mins before we got our 1st course! The bbq ribs were overdone [burnt] and diguised with excess [heavy on the pepper] sauce. Did not complain as was ravenous by the time I got my meal!! Pizzas were impressive in size and taste. Food was excellent - however we waited over 1.15 minutes for our food which was difficult with a hungry two year old ! However - when the food came the food was very good. Play areas wonderful for the little ones. tremendous roast - very very good! It was slow to arrive but well worth the wait!